Chris Brown further fueled the Rihanna rumor mill on Thursday by posting a loving picture of them together, sparking claims they may have reconciled. 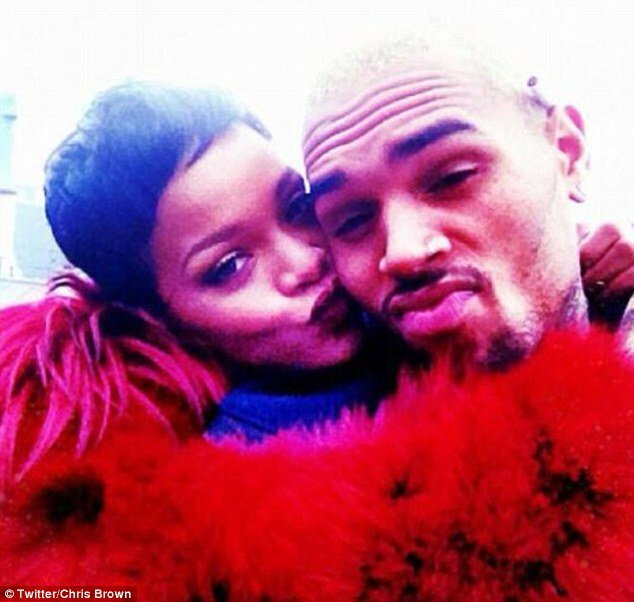 In fact, the picture is believed to have been taken in Paris, just a day before the pair sensationally split after Rihanna heard Chris Brown partied with scantily-clad female models and lunched with ex Karrauche Tran in Dubai. To add further mystery, to what could be seen as a “forgive me” post, Chris Brown deleted the picture after 15 minutes. But thousands of Twitter users retweeted the snap, which shows Rihanna wearing a red fur coat, which she was seen wearing on December 10 in Paris, the same day Chris Brown was spotted leaving her hotel room in the City of Lights. Rumors swirled that the star was trying to elicit forgiveness from his on-again off-again lover after she posted a series of vitriolic Twitter comments about being single. After weeks of happy texts aimed at Chris Brown and photos of the pair together, Rihanna wrote: “Examine what you tolerate”, “Goodbye muthaf*****”, “You give, you get, then you give it the f*** back” and “Claps for the basic b****** (sic)”. Of course, Rihanna can not be with Chris Brown as she is currently holidaying in a luxury beach front villa in Barbados. It isn’t clear if Chris Brown wants to get back together with Rihanna or simply remind her of the fun they had together. Since they first split in 2009, Rihanna often referred to her ex as her “best friend”. Meanwhile Karrauche Tran’s best friend Christina Milian, 31, claims Karrueche has always been Chris Brown’s “girlfriend” despite Chris previously announcing they had split last October.